Establishment of the Nation’s First Caterpillar Dealership In 1918, the Holt Manufacturing Company of Peoria, IL boasted that its model 45 tractor could do the work of, “40 mules . . . or 40 horses and countless humans.” Goodloe and Earle traveled to Peoria to ask Holt if they could represent the product in the southeastern United States. Holt preferred direct sales to end users and questioned the need for local distribution, preferring to target sales to the United States Army. Unable to secure a demonstration tractor, Goodloe and Earle left Peoria with only a photograph of the Holt Model 45 and a price quote of $4,750 per machine. Yancey’s first Model 45 sale came later that year to Troup County, Georgia. Within 12 months Yancey had sold all of the Model 45’s in Holt’s inventory, using only a single photograph. 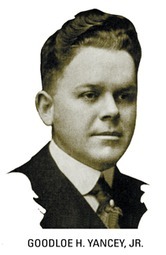 When Goodloe and Earle returned to the Holt factory in Peoria the following year, they were given Holt’s first jobber’s contract, and a higher commission than initially promised. Growth to Keep Up with a Growing State In 1924, the brothers established their new headquarters in downtown Atlanta. With the move came a name change to Yancey Bros., Inc. and a reduction in territory from four southeastern states (Georgia, Florida, Alabama and South Carolina) with Holt to Georgia only with Caterpillar. In 1927 the brothers split the territory with Goodloe operating the company for the 83 counties in the northern half of the state as Yancey Bros., Inc., and Earle operating out of Albany as the Yancey Tractor Company for the southern half of Georgia. Joining Earle in Albany as General Manager of his company was another brother, L.D. Yancey, the father of a future generation of Yancey brothers, Don and Goodloe III. In 1947, while Earle Yancey’s family finalized the sale of the Yancey Tractor Company in the south, business continued to grow in the north. Yancey Bros. opened its first full-service product support branch in Augusta and adopted the current name of Yancey Bros. Co. Four years later Yancey Bros. Co. relocated to a 12-acre site at 1540 Northside Drive in Atlanta. In 1957 the company opened its second full-service product support branch in Macon. 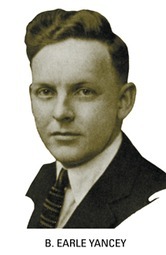 The Second Generation of Yancey Leadership Don A. Yancey, a nephew of Goodloe, began his career in 1936 working for Earle and his father, L.D., as a salesman with the Yancey Tractor Co. in Albany. After serving as a Major in the U.S. Army during World War II, Don joined Goodloe at Yancey Bros. Co. in 1946 as a salesman and later as branch manager of the Augusta branch. He became President of the company in 1959. In 1969, the company relocated again to its current corporate headquarters in Austell, four miles outside Atlanta’s I-285 perimeter highway. Yancey’s new facilities gave the company room for expansion and growth into the next century. 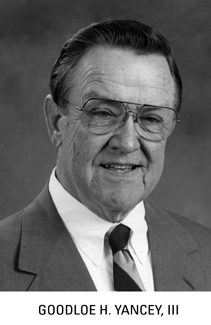 The Third Generation of Yancey Leadership In 1974, Goodloe H. Yancey III assumed the presidency of the company upon the retirement of his older brother, Don. 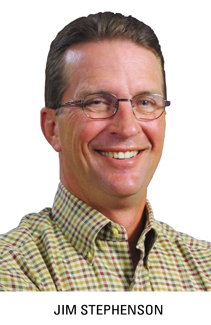 Goodloe III had joined Yancey Bros. Co. twenty years earlier as a sales trainee after serving as a Lieutenant in the U.S. Air Force. Between 1954 and 1965, Goodloe III worked as a mechanic’s helper, a parts warehouse order picker and a parts counter salesman. He also worked as one of the company’s first Parts and Service Sales Representatives, as a Machine Sales Representative, as Sales Coordinator and later as Sales Promotion Manager. 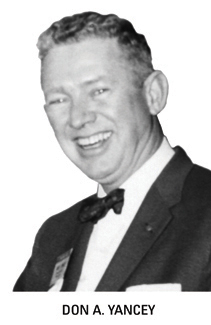 Goodloe III became Vice-President of the company in 1966 and Executive Vice-President and General Manager in 1972. Under Goodloe’s leadership, the company opened its existing branches in Calhoun, Gwinnett County and Columbus, and its first full-service truck engine support branch. In 1984, the company acquired the Grissom-Harrison Corporation, a mining and aggregates equipment and support distributor. Three years later, the company formed Sunbelt Power Systems, now known as Yancey Power Systems, to provide truck engine support and electric power generator sales and service. In 1994, Yancey Power Systems opened a new branch at the intersection of Moreland Avenue and I-285 to meet the demand of the trucking industry and to serve as the primary parts warehouse for Yancey Power. The Fourth Generation of Yancey Leadership In 1994, the fourth generation of family leadership joined Yancey Bros. Co., when Jim and Donna Yancey Stephenson, son-in-law and daughter to Yancey’s former president, Don Yancey, agreed to become the company’s primary stockholders. Jim was named President and Chief Executive Officer in September of 1995. The Stephenson’s completed their purchase of the company in February of 1996 and assumed the responsibility of leading “The Nation’s Oldest Caterpillar Dealer” into its tenth decade of service to the northern half of Georgia. A Focus on Serving Our CustomersUnder Jim’s guidance the company continued to expand its current operations and ventured into new growth opportunities. “The Cat Rental Store” opened in 1997 and continues to provide Caterpillar’s full line of construction and building equipment to customers with daily, weekly and monthly rental options. The Cat Rental Store also sells and rents a large menu of non-Caterpillar equipment, ranging from dump trucks to aerial lifts. In 2005, Yancey Power Systems established an operation in Griffin to provide specialized services to customers purchasing power units from Caterpillar’s Griffin Engine manufacturing facility. Rebranded in 2008 as “Yancey Engineered Solutions”, this business serves customers around the globe as a supplier of sound-attenuated packaging, testing and design solutions and engineering services for most makes and models of power generation units. In 2009, the company purchased operating assets of two International Trucks dealerships in southern Georgia and now operates these businesses under the banner of Yancey Truck Centers. This business has sales, parts and service locations in Albany, Tifton, Blackshear and Valdosta. Helping Our Customers Succeed . . . From the Appalachians to the Atlantic Today, Goodloe Yancey III continues to serve the company as Chairman of the Board while Jim Stephenson provides leadership as President and Chief Executive Officer. Along with over 800 employees, they continue the legacy begun in 1914 by Earle and Goodloe Yancey of providing outstanding customer service.